Recently, early literacy author Jenny Feely received an email about a young student who brought the same book home from school every day. 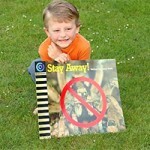 This favorite book was Jenny’s book, Stay Away!, about poisonous animals. Delighted by a young reader’s response to her book, Jenny reflects on the importance of allowing children to choose what they read in order to discover what they like. Who made up all those words anyway? Learning to spell enhances students’ reading and writing, but the rules for spelling are very complex, and can produce frustration in the classroom. As teacher and writer Jenny Feely notes, at times even highly literate adults struggle with spelling. Jenny suggests ways teachers can appease students’ concerns about spelling, and includes some helpful spelling tips. She reminds us that although the many layers of the English language do make it harder to spell, they also provide us with a rich vocabulary. Finding the right name for a character in narrative texts is a challenge for published authors as well as for students. Author and teacher Jenny Feely shares a variety of classroom ideas to help students find appropriate names for their characters and take a step towards more successful narrative writing. What are the similarities and differences between reading traditional books and multimodal books and games on iPads? The iPad educational apps of levelled books and word games look very inviting. But in one research project a teacher, Carly Willamowski, found that five- and six-year-old struggling readers soon became tired of the apps and continually wanted interaction with the teacher. A recent survey into young children’s media use in the United States found that 20 years after the birth of the World Wide Web and a year or so after the first iPad sale, the media world that children are growing up in is changing at lightning speed. 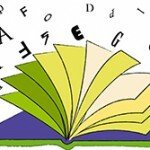 For literacy teachers this changing media world is of great interest and many people are exploring ideas in the area. Now that Developing early literacy: Assessment and teaching is in its second edition, the area that really engages me is how to teach early reading and child-centred approaches to learning. When most five-year-olds begin school they expect to learn to read quickly. How can we build on the knowledge that children bring to school, their interests, oral language, vocabulary and understanding of how print works? Have you ever tried the word tricks where numerals replace letters or where medial letters in words are rearranged? These demonstrate how highly skilled readers are so practised with text that they can still access meaning. They are a reminder of how much prior knowledge helps reader understanding. 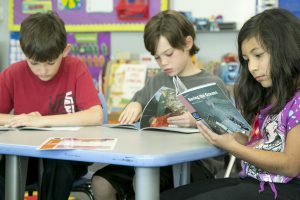 What does Guided Reading look like at Grades 3-5?